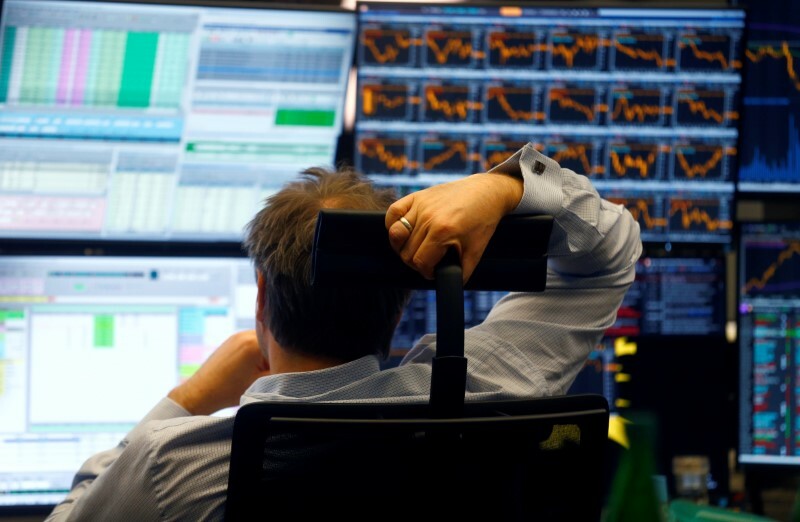 LONDON (Reuters) – European shares struggled on Monday as fears of the escalating U.S.-China trade conflict outweighed the boost to sentiment from Chinese authorities’ intervention last week to shore up its currency. European shares were also mixed. The pan-European share index () dropped 0.06 percent while Germany’s DAX () fell 0.34 percent and France’s CAC 40 () was virtually flat, down 0.02 percent. The weakness in European shares followed a more than 1 percent drop in the Chinese blue-chip index () and Shanghai’s SSE (LON:) Composite (). Japan’s Nikkei () and South Korea’s Kospi index () also dropped. The MSCI world equity index (), which tracks shares in 47 countries edged down 0.08 percent. The , which has benefited as investors rush to safety, rose 0.2 percent to 95.291 (), close to a 2-1/2 week high. “Investors are also closely watching the rising value of the U.S. dollar, slowing global economic growth and the risk of the Federal Reserve tightening short-term interest rates too quickly and dampening domestic economic growth,” said Lachlan McPherson, Senior Investment Consultant at Charles Schwab (NYSE:) Australia. The euro () inched down to $1.155. Gold hovered near 17-month lows and was last at $1,211.89. Brent crude futures () rose 0.5 percent to $73.55, while U.S. crude oil futures () added 0.7 percent to $68.94 a barrel.